Hikurangi Lodge Queenstown offers you the ultimate Queenstown bed & breakfast and home stay accommodation experience in our surreal location in New Zealand's glorious Southern Lakes District. Our guests enjoy a scrumptious breakfast menu that caters for all tastes. For those that need to stay connected, WiFi Internet broadband is available throughout the Lodge. 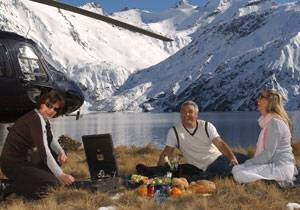 Our Romantic Weekend is now offered as a special package for two in our honeymoon suite room for two nights including a helicopter picnic for NZ$750 per person. This includes breakfast each morning, and airport transfer service. The room includes a double bed and spa bath with views over Queenstown's lake and mountains right from the bath. For more details please contact us on email or phone for a booking. During the winter our hosted evening meals are very popular. 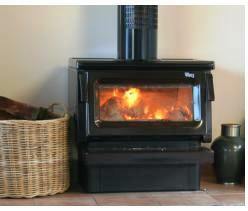 This allows you to relax in the warmth of the lodge without having to venture down to the town for dinner. The price for dinner is NZ$45 per person and needs to be booked in advance. Three-courses are offered with soup, main and desert. Local award winning wine is available with your meal. When you book your accommodation let us know which evenings you want to have dinner. If you wish to ski both the Queenstown fields as well as Mount Hutt near Christchurch, then you only have to speak with us to book accommodation in both locations. We have a wonderful Villa at Terrace Downs looking directly at Mt Hutt. The Resort offers helicopter shuttle services to Mt Hutt or it takes around 45 minutes to drive to the top of the mountain. Terrace Downs is less than one hour's drive from Christchurch International Airport or about 6 hours drive from Queenstown. 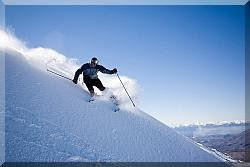 Ski passes are available for both Mt Hutt and Queenstown's Coronet Peak and Remarkables ski fields. Contact us for more information. Barry and I look forward to the Winter Festival every year as we enjoy meeting the people that come to enjoy the winter here in Queenstown and the events. We can see the fireworks from our Lodge so we always watch this. We still have rooms available through the winter for those that wish to ski and we are offering Ski Special Accommodation at 20% discount* for 7 nights. So this works out less than NZ$100 per night per person, and that includes breakfast. So please give me a call if you wish to book our special on +64 (03) 442 7907. Shirley & Barry Meyer have been bed and breakfast hosts for 10 years. During this time we have met many wonderful people from around the world. We enjoy the small part we play in looking after visitors to our country and we look forward to meeting you when you visit our wonderful country.